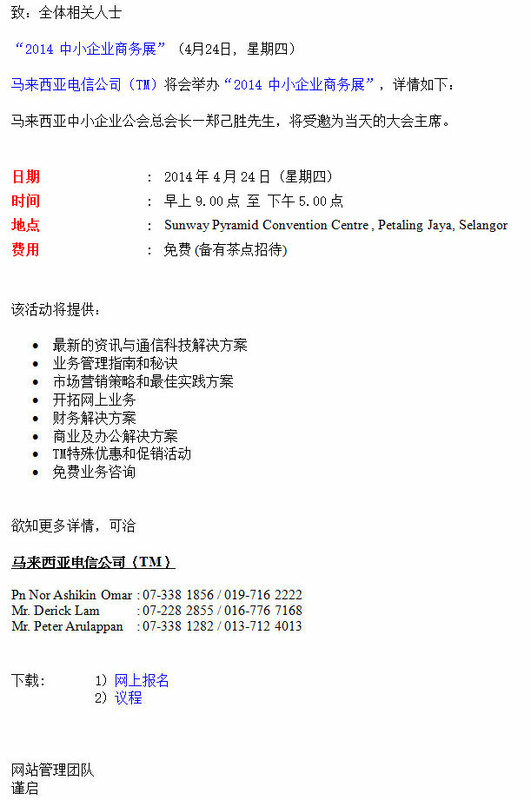 Please be informed that Telekom Malaysia Berhad (TM) will be organizing SME BizFest™ 2014. Mr. Teh Kee Sin, President of SMI Association of Malaysian (SMIAM) is invited as the chairman of the day for SME BizFest™ 2014. Highlights of the event include conferences and exhibitions that offer business education and tips; business networking opportunities; and affordable ICT solutions, which aim to help nurture business interests among potential SMEs.